Fabric bulletin boards are an interesting display alternative. 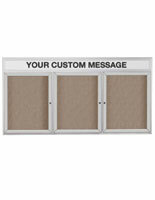 These fabric bulletin boards, also known as cork display cases, have different colors and tacking options than a customary message board. 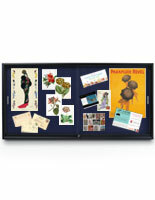 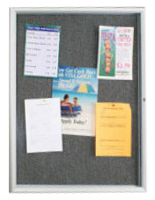 These notice boards come with a variety of surface colors to match all decor and settings. 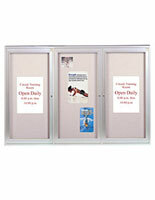 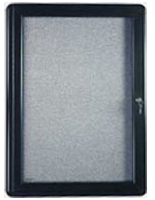 These message boards are equipped with one, two or three doors that are easy to open and close. 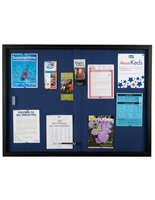 Why choose fabric bulletin boards? 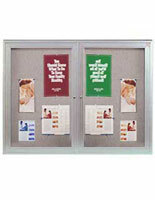 Enclosed corkboards deter tampering making them very secure exhibits. 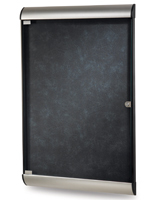 They option gravity latches, locks, and shatterproof faces. 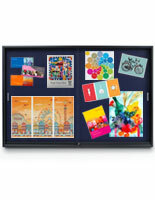 These bulletin boards come in a variety of shapes and sizes to fit your wall space. 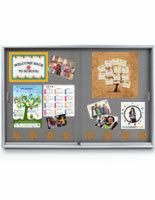 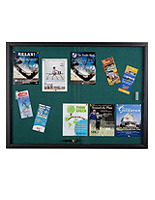 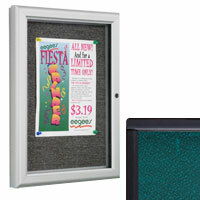 These corkboards have a variety of functions for your company or school. 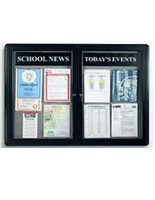 They could serve as directories, hold flyers, schedules, or hold classroom presentations. 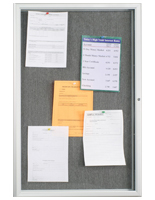 Notice boards are secure and stylish. 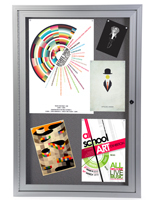 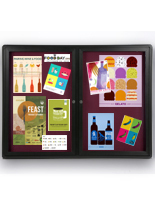 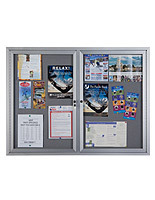 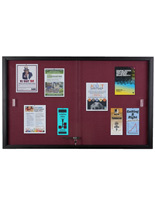 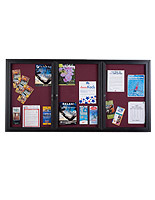 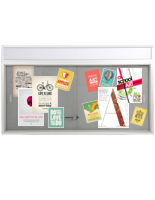 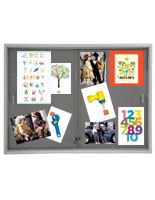 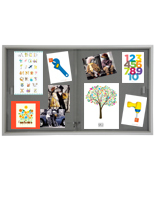 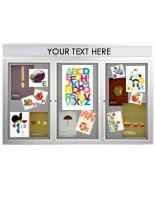 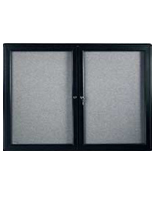 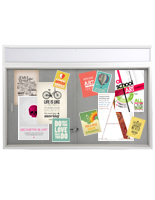 We provide you with the choice of opening your notice board in the most convenient way. 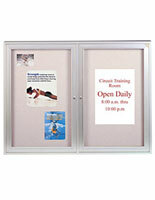 These message boards have locking systems and shatter proof acrylic windows to prevent tampering. 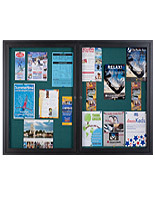 Some of the notice boards offer one or two headers for fast messages or catchlines. 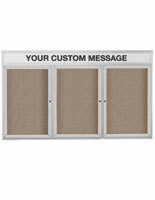 These bulletin boards suit any message you are trying to convey. 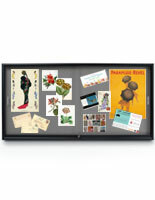 What are the special features of these stylish cork boards? 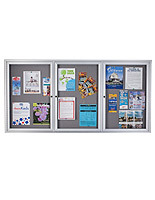 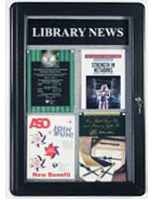 Anodized aluminum frames featured in silver and black make longstanding displays that will last for many years. 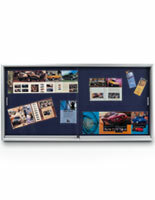 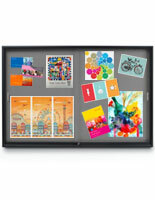 Choosing a display board that is right for your business, office, school or classroom is key. 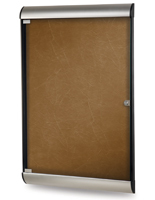 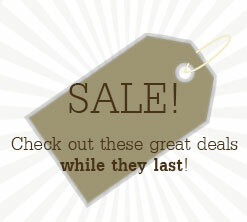 Be sure to explore all our locking, backing and hanging options before making your purchase. 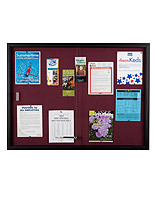 Choose from the large variety of colored backgrounds to make the most of your display case. 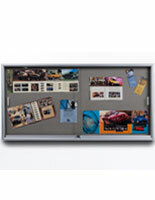 The corkboard backing is compatible for use with push pins and tacks and won't damage no matter how many times you re-pin! 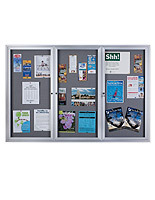 These notice boards can be hung in hallways, community centers, campus offices and in business settings to keep customers, guests and students informed or to showcase recent accomplishments and happenings. 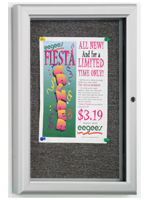 We also carry models with custom headers that can be printed with your school or business name! 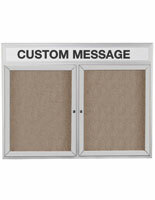 Browse our entire selection today for all your notice and message needs.